BBC AMERICA’s new original drama series, Jonathan Strange & Mr Norrell, is based on The New York Times bestselling novel by Susanna Clarke and adapted by Peter Harness (Wallander, Is Anybody There?). The seven-part series stars Eddie Marsan (Best of Men, Ray Donovan, Filth) and Olivier award-winning Bertie Carvel (Restless, Hidden, Matilda) who take on the magical roles of Jonathan Strange and Mr Norrell. Further casting includes Alice Englert (Ginger & Rosa, Beautiful Creatures), Marc Warren (Hustle, Mad Dogs, The Musketeers), Samuel West (Mr Selfridge, Fleming), and Charlotte Riley (Wuthering Heights, Easy Virtue). The series is produced by Cuba Pictures for BBC One and co-produced with BBC AMERICA, in association with Feel Films, Far Moor, Screen Yorkshire and Bell Media’s SPACE. It is distributed by Endemol Worldwide Distribution. 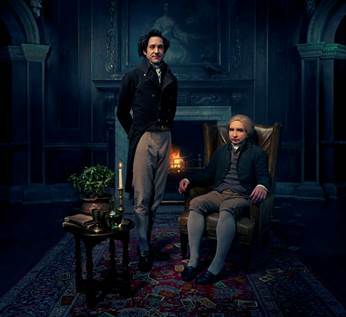 Jonathan Strange & Mr Norrell will premiere on BBC AMERICA in 2015.